Our Mission: If you need retirement plan or individual wealth management help, then you have come to the right place. As an independent investment consulting firm, Harbor Retirement Planning specializes in partnering with corporate and individual clients to deliver and manage their retirement plan strategies. It is our commitment to always be completely open, candid and honest with you. Providing the highest quality service is our paramount objective. 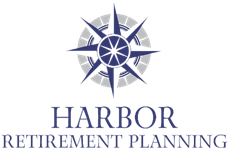 Harbor Retirement Planning presents a wide array of tools to provide plan sponsors with the highest quality retirement programs and help individual investors effectively pursue their desired retirement lifestyle.